Roy Adair was appointed Chief Executive of Belfast Harbour Commissioners in 2005. Roy previously held positions with Rothmans International, Flexibox International and the Northern Ireland Quality Centre, where he was the organisation's first CEO. Roy joined electronics group DDL Inc in 1994 to run Irlandus Circuits, a company which he subsequently bought from the Group in 1999. Roy has been involved as a non-executive in a range of organisations which currently include the Prince's Trust, Business in the Community (as Northern Ireland Chair), the UK Major Ports Group, the Offshore Wind Energy Council, the Northern Ireland Centre for Economic Policy and Invest Northern Ireland. He is President Emeritus of the General Stevedoring Council, chairs the Diaspora initiative, NI Connections, and has also served as Prince Charles' Ambassador for Social Responsibility. Professor Alastair Adair was appointed Pro-Vice-Chancellor in August 2008. Previously he held positions as Head of the School of the Built Environment and inaugural Dean of the Faculty of Art, Design and the Built Environment. He is also Professor of Property Investment. Teaching and research specialisms comprise dynamics of property market performance, regeneration, appraisal and finance. Research findings impacting on policy and practice have been utilised by HM Treasury, Department for Communities & Local Government, NI Executive, Investment Property Databank and Royal Institution of Chartered Surveyors. He is the recipient of numerous international awards including the prestigious Richard Ratcliff Award made by the American Real Estate Society. Professor Adair was appointed a member of the UK Research Excellence Framework 2014 Architecture, Built Environment and Planning Sub-Panel 16 and was also a member of RAE 2008. He is a member of the Cathedral Quarter Trust and a Non-Executive Director of the International Centre for Local and Regional Development. Previous Ministerial appointments include DRD Regional Development Strategy Review Working Group and Chair of the DSD Advisory Panel of Experts for Implementation of the Review of Affordable Housing. Professor Adair is a Fellow of the Royal Institution of Chartered Surveyors and has held positions as Chair/President of RICS Northern Ireland and the Irish Auctioneers and Valuers Institute respectively and founding Vice President of the European Real Estate Society. 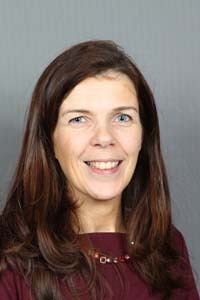 Olive Hill is Executive Director of Strategy at Invest NI which utilises an evidence-based approach to formulate the strategic direction of the organisation in line with Programme for Government (PfG) and other economic priorities as agreed with the Department of Enterprise Trade and Investment & the Invest NI Board. Olive Hill was previously Director of Invest NI's Trade division which assists Northern Ireland businesses to research export markets, develop export skills and grow through international sales. Prior to this Olive was Director of Innovation & Technology Solutions at Invest NI were she led a large team of engineers and scientists providing advice and support to businesses across a range of disciplines including sustainable development, design, innovation, ebusiness and intellectual property. A marketer by background Ms Hill has previously worked in a technical environment and in her early career spent periods of employment with Honeywell Computers in France and MVA Asia in Hong Kong. John Kelpie is the Chief Executive of the newly formed Derry City and Strabane District Council. Established in April 2015 as a result of a programme of local government reform in Northern Ireland, this new Council serves a larger geographical area and has a range of additional powers, functions and responsibilities than its predecessor councils. John led on the creation of the new organisation designing an innovative, flexible and responsive staffing structure with a clear vision and purpose - to develop a thriving, prosperous and sustainable City and Region with equality of opportunity for all. The Council will achieve this vision with a focus on economic, environmental and social well-being and regeneration and by addressing and targeting poverty, social exclusion and disadvantage through its new processes and functions. With one of these new functions, the power of Community Planning, John is harnessing the collaborative advantage of partnership working by securing the energy and commitment of the District's residents, businesses, community and voluntary sector organisations and statutory partners to support the Council in driving its ambition and vision collectively. "Our Citizen first and business-centred approach is key to our success" John explains, "and together we will drive forward the economic prosperity of this exciting City and Region; protect and develop its natural and historic built environment, promote its rich culture and diversity and empower and sustain its greatest asset – its people and communities." Dr Andrew McCormick was previously the Permanent Secretary of Department of Health, Social Services and Public Safety, and the Chief Executive of Health and Social Care for 9 years, and before that, Second Permanent Secretary, NI Department of Finance and Personnel from May 2002. Dr McCormick Geology at University College, Oxford, graduating in 1978. he has a PhD in Geochemistry, Queen's University Belfast 1989. 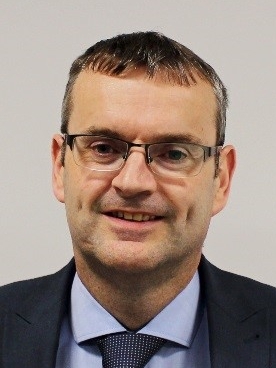 He has worked in the Northern Ireland Civil Service since 1980, mainly in Department of Finance & Personnel; Finance Director (SCS) in NI Department of Education from 1993 to 1998. Philip McDonagh OBE is the former chief economist with PwC in Northern Ireland and has over 30 years experience of researching and analysing the Northern Ireland economy. During his career he has undertaken a wide range of economic policy assignments for public and private sector organisations in the UK, Ireland and the EU. He currently works as an independent economist and is a regular media commentator on economic and social affairs. He also holds public appointments as Chair of the NI Statistics Advisory Committee and as a Charity Commissioner for Northern Ireland. 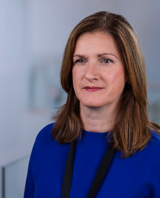 Oonagh McGillion is the Director of Legacy, with Derry City and Strabane District Council responsible for contributing to the design and delivery of strategic projects within the Chief Executive's Department. Her current portfolio includes City of Culture legacy projects, bidding to become European Youth Capital in 2019 and Community Planning. She was formerly the Director of Development for Derry City Council, the second largest Local Authority in Northern Ireland and in 2011 led the bidding team to secure the inaugural title of UK City of Culture. She has over 20 years employment experience in the areas of social and economic regeneration and European Programmes in the public, private and third sectors. She is a graduate of Ulster University with a BA (Hons) from Magee and MSc from Jordanstown. 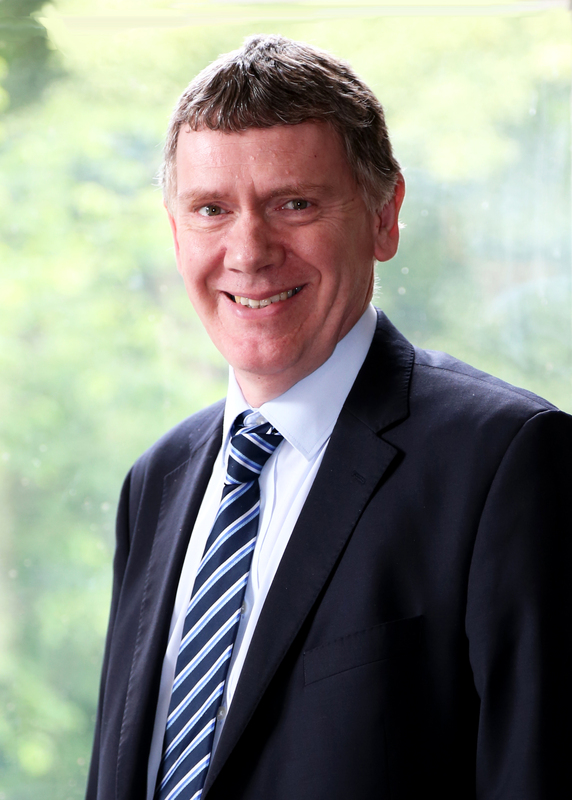 Des was appointed as Head of the First Trust business in Northern Ireland in late 2013. This followed a six month period as Head of Customers & Distribution when he was first appointed to First Trust Bank in March 2013. Des is also the First Trust Bank representative on the AIB Group (UK) plc senior management team. Prior to 2013, Des held a number of senior positions in retail and business banking primarily with Bank of Ireland, Permanent TSB and National Australia Group, all in the Republic of Ireland. Role specialisms to date have included implementing key strategic transformations, delivering P&L goals and leadership team restructuring. His role is to lead First Trust Bank as it plays an increasingly important role in the recovery of the NI economy. Shane is the Department for the Economy’s Chief Economist where he leads the Department’s Analytical Services Division. He is responsible for the provision of research and analytical support for policy development across the Department. Shane and his team have been working with a range of stakeholders to develop the evidence base underpinning the new Programme for Government and the draft Industrial Strategy for Northern Ireland. Shane previously worked in the Department for Enterprise, Trade and Investment, where he was the Department’s lead Economist from 2011, overseeing a team of economists and statisticians providing a range of analytical services throughout DETI. Prior to 2011, he worked in a variety of economist roles, including work on Public Spending, Efficiency and Delivery, the Independent Water Review and on Energy within the Utility Regulator. Shane is an economics graduate of Queen’s University; he then went on to take a Master’s Degree in Accounting and Finance at the Ulster University. Joe joined Belfast Harbour in 1997, holding a number of roles including Commercial Manager and Port Manager before being appointed as Commercial Director in 2005. 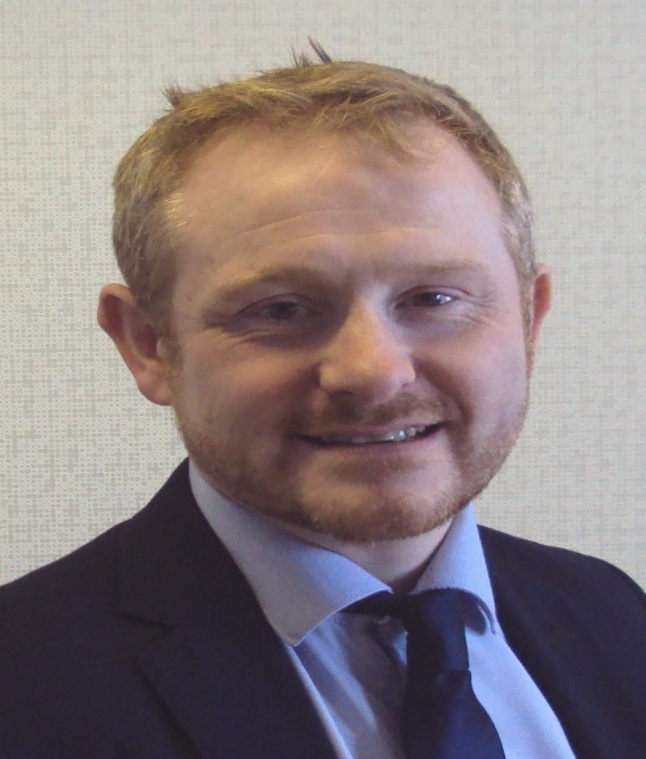 Prior to joining the Belfast Harbour, Joe held the position of Trading Manager for Undus Ltd and Quality Manager for Cantrell and Cochrane Ltd.
Joe is currently a member of the Simon Community Corporate Fundraising Committee and a Trustee of the MAC. 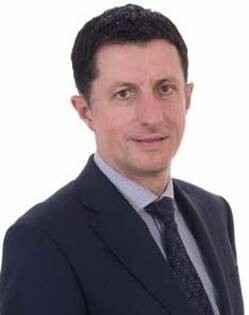 David currently leads the Economics Team at Invest NI where he is responsible for providing tailored economic analysis and advice as well as overseeing the appraisal and evaluation of projects and programmes. His work spans a range of policy areas and issues including Corporation Tax and the UK exit from the EU. Prior to joining Invest NI in 2012, David had a successful consultancy career working on economic development projects for public and private sector clients across the UK and Ireland. David is a graduate of the University of Edinburgh where he obtained an MA (Hons) in Economics and Politics. Tony Simpson is the Director of Strategic Policy in the Department of Finance. He is also the Head of Profession for Economists working across the Northern Ireland Civil Service. Prior to joining the Department, Tony has worked as an Economist in the Department for Enterprise, Trade & Investment where he was heavily involved in the Independent Review of Economic Policy. He has also worked in the Department of Regional Development and PricewaterhouseCoopers. Tony is a graduate of both Ulster University and Queens University Belfast. Since 3 July 2017 Hugh has been appointed temporarily to the position of Permanent Secretary to the Department of Finance for Northern Ireland. 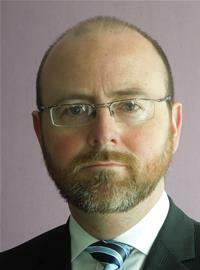 He is the ‎Head of the Government Legal Service for Northern Ireland, and Departmental Solicitor for the ‎Northern Ireland Executive. He has 17 years of experience in parliamentary services and government legal services. Prior to joining the Northern Ireland Executive, Hugh was Director of Legal and Governance Services for the Northern Ireland Assembly. He has previously worked in research, as a barrister in private practice and as an in-house lawyer in a leading financial services provider. He has also worked in the Scottish Parliament’s legal office, and on discrimination law in the Office of the First Minister and deputy First Minister. Hugh is a barrister and member of the Bar of Ireland and the Bar of Northern Ireland. Hugh has been a member of the Assembly Commission’s Audit and Risk Assurance Committee (ACARAC) since November 2012. 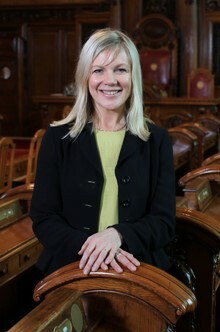 Suzanne Wylie took up the post of Chief Executive of Belfast City Council in July 2014. Since then she has steered the Council through Local Government Reform, the most significant change the organisation and the sector has experienced in decades. Suzanne is also driving forward the Council's £300m Investment Programme, in the city centre and neighbourhoods, to establish Belfast at the heart of economic growth in the region. Suzanne has worked for Belfast City Council for 26 years and previously held the position of Director of Health and Environmental Services from 2010 until the announcement of her new position. During this time she was responsible for many front facing services and citywide partnerships.